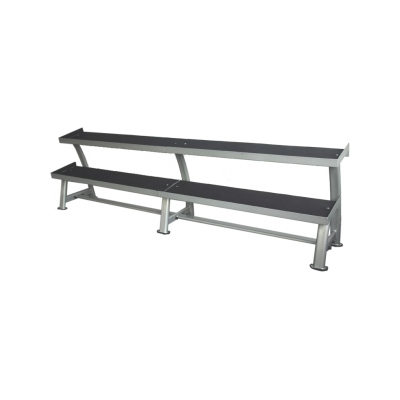 Physical 10 Pair Flat Tray Rack designed for flat headed dumbells, such as the TuffTech Rubber Hex Dumbell. The rack incorporates our new oval tube design and is finished with our durable metallic grey paintwork. 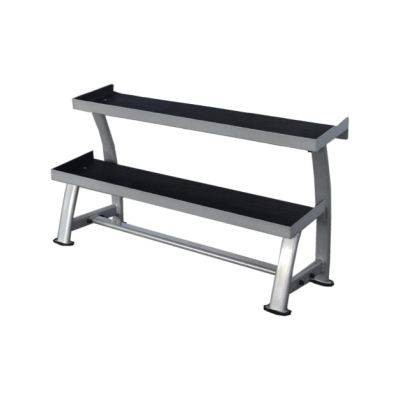 This rack is a must have item for any studio or health club. Dumbells not included. Dimensions - W 2400mm x H 860mm x D 560mm (93" x 33.6" x 22"). Weight - 70kg.